Be sure to check back here on Sunday, Oct. 22, for the link to our one-of-a-kind original art auction on ebay. One item, one-of-a-kind, for animal lovers only. What a mystery! To get ready (hint hint), here are five questions for the great Wiley Miller. 1. What pets do you have and what are their names? We currently have 4 dogs, 3 of them are Jack Russell Terriers… Tildie, Smitty and Pippa (the last 2 are rescues). The fourth dog, Belle, is also a rescue who we took in last year with Pippa. She’s a big sweet girl who took care of Pippa’s puppies at the shelter. We just couldn’t take one without the other! We had a DNA test done on Belle and she’s 20% Brittany Spaniel, 20% Irish Setter, 20% Miniature Pincher, 20% Chow and 20% Mastiff! She’s really good at hunting squirrels, so we’ve dubbed her a Mongolian Squirrel Hound. 2. What made you fall in love with Jack Russell Terriers? A friend had one and we loved his spirit and intelligence. Our first one, Duncan, was an absolute gem. Everyone in our neighborhood at the time fell in love with him. We were hooked. 3. Do you ever name your pets after famous pets/people in the comics, or in comedy? Was Lucy named after a famous Lucy? No, you have it backwards. Lucy in the comic strip was actually named after one of our Jack Russell’s who my wife, Victoria, was completely and utterly besotted with…and vice versa. 4. What are the best things about rescued dogs? How loving and appreciative they are. Dogs are very intelligent, aware animals. They KNOW where they came from and, after they settle in realize they’re not going to get moved out again, are very appreciative for the permanent home they have now. 5. What do you think about giving dogs the vote? Dogs are the best judges of character on the planet! They know instantly who’s a jerk (cleaned it up there) and who’s a good person. You actually only need one dog to judge. Line up the candidates in front of a dog and the work is done. The trick will be find ANY politician a dog will like. 6. Do you think dogs could beat the Yankees in a best of seven? Being a Red Sox fan, I don’t think I can answer that with any semblance of objectivity. 7. Do you find your readers react happily to your strip when it features animals? 8. Do you have a horse? A talking horse? No, I decided to give Danae a pet and didn’t want to go the usual cat or dog route back then, and I thought nothing goes better together than girls and horses. I never met a girl who wasn’t madly in love with horses. So I introduced Lucy, who is a Miniature Clydesdale. For some reason, some readers continue to think Lucy is a stuffed toy. I think I know what you’re asking…I anthropomorphize my animals and they get to do what we secretly wish we could do. So, there you have five questions with Wiley (we’re comics, right?) 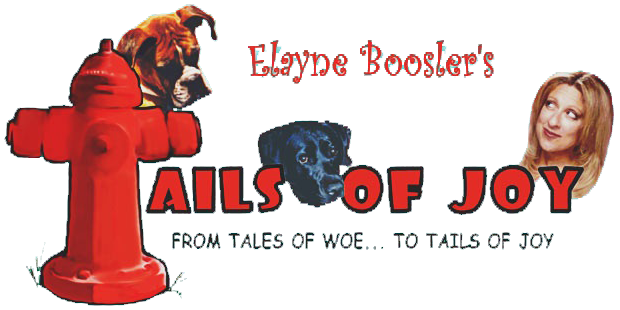 Wiley has featured Tails of Joy in his comic strip over the years, helping to bring awareness and donations to animal rescue. He also very kindly designed our beautiful signature Dog and Cat totes. Enjoy Wiley’s amazing body of work here. See you this Sunday!